Rory Carroll is the Guardian's Ireland correspondent and author of Comandante: Hugo Chavez's Venezuela. 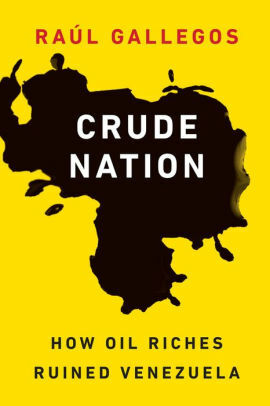 Raúl Gallegos’s Crude Nation shows how what was once South America’s most stable, wealthy country swerved towards the abyss. A former economic journalist who lived in Caracas, Gallegos dissects the nationalisations, expropriations, subsidies and controls on prices and currencies that warped the economy during Chávez’s 12-year rule. Petrol became virtually free while milk, sugar, coffee and toilet paper routinely vanished from stores. Gallegos blends analysis with reportage, including a picaresque roadtrip with a Che Guevara lookalike – to show how Maduro inherited a mess and made it worse. Read about another book Carroll tagged.